What do presidential elections and wealth management campaigns have in common? Both want you to make a very important decision based on a soundbite. Most people will tell you they’re too smart to fall for soundbite advertising, but even the brightest among us can have our judgment subverted by soundbites that are simplistic and emotional. 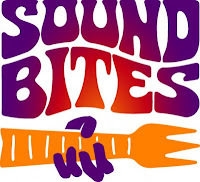 Soundbites work because they are designed not to appeal to our rational brain. In his best-selling book, Thinking, Fast and Slow, Daniel Kahneman, winner of the 2002 Nobel Prize in Economic Sciences, noted that most of our decisions are based on snap judgments in the unconscious part of our brain. That is the gray matter we relied on when we used to roam the savannah and lived in small colonies. "System 1" thinking, as Kahneman states, is intuitive, rapid and emotional. It operates almost like instinct. "System 2" thinking, he notes, demands more analysis and work. By nature, this type of thinking takes more time.